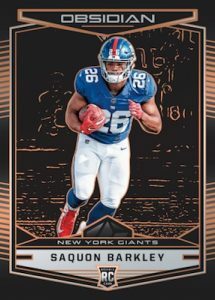 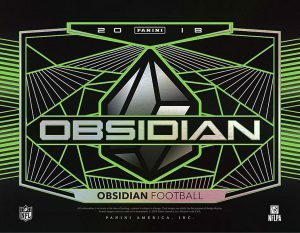 2018 Panini Obsidian - Football Card Checklist	Overall rating:	4	out of 5 based on 1	reviews. 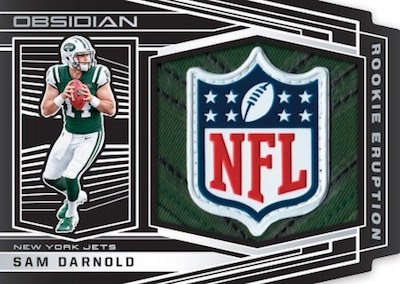 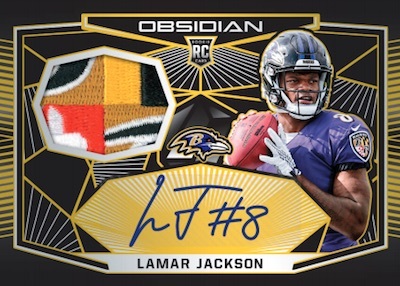 2018 Panini Obsidian Football offers a break from the flashy chromium design that has dominated the hobby in recent years. 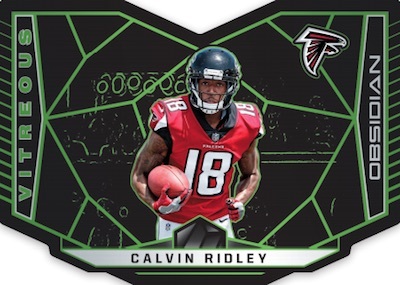 Obsidian provides a glassy black background that is complimented by a colourful foil etching that creates for an eye-popping design that is different from what we have come to expect. 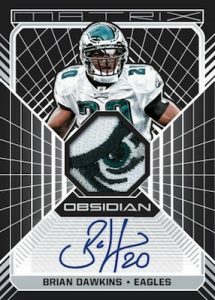 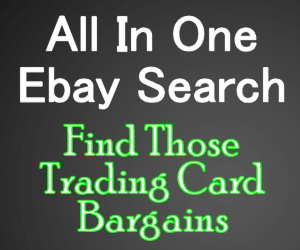 Each hobby box offers 4 autographs or memorabilia as well as the chance at a case hit Vitreous Die-Cut insert. 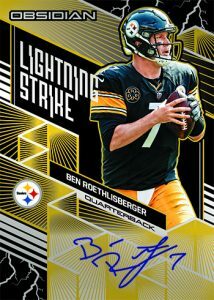 For a full team-by-team breakdown of the hits, checkout Breakninja.com.